First introduced in the 2015 model year, the Trax is Chevy's compact SUV solution designed to provide a great ride and much of the cargo space of an SUV, but at a much smaller size. With each year, Chevy has made changes and adjustments to this model, and the 2019 Chevy Trax looks to continue their tradition of performance and a sleek design all in a compact package. While the Trax might not be the right choice for someone looking to overpower the road in a massive SUV, it provides excellent performance and interior options at the perfect size for many people's lives. One of the best aspects of the 2019 Chevy Trax is that it provides a great deal of customization and options to make it truly yours. This includes different available features for the outside of the vehicle, including available all-wheel-drive if you plan on handling some rough terrain, as well as notable interior features and the ability to make the seating fit your lifestyle. All of this comes with great safety features and tech choices that keep the Trax a cut above the rest. The 2019 Chevy Trax is expected to be one of the last years for this first-generation model, with a new generation likely to start in 2021. This is the perfect time to get onboard with the Trax and discover everything that it has to offer. Otherwise, you might just find yourself getting left behind as the future of SUV design takes off. Choosing a 2019 Chevy Trax over a different SUV is typically a choice all about size and design; since a compact SUV is a great option that is the perfect fit for many of us the Trax is sure to be a fit. So first things first: let's talk about size. The 2019 Chevy Trax gives you plenty of interior room and packs it all into a tight, sleek exterior. The Trax is only 65 to 65.5 inches tall - that's less than six feet - depending on the model you choose. Many other SUVs on the market measure well over six feet in height, which makes climbing into one of them a challenge for many of us. You won't need a step-ladder or a stool to get into your Trax in the morning. Regardless of model, the 2019 Chevy Trax is about 167 inches from nose to tail, which equals less than 14-feet in total length front to back. While that may seem long compared to a compact car, for an SUV it is quite short and gives you much more maneuverability than many other SUVs can possibly offer. That small size doesn't sacrifice interior seating or cargo space, however, due to a smart overall design that seeks to take advantage of every last inch of the interior. 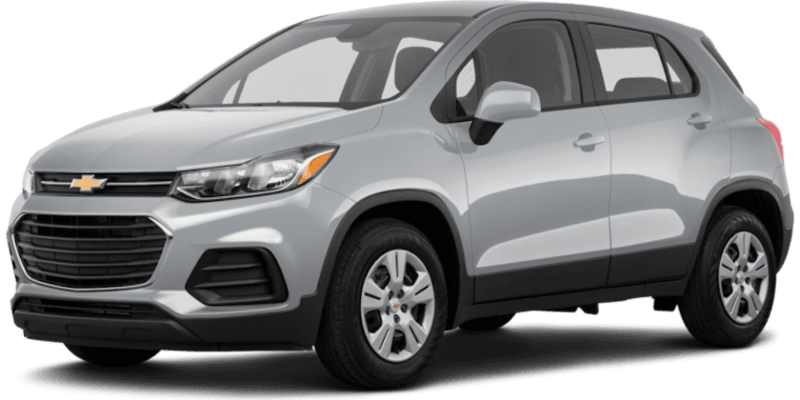 If style is important to you, and since you're looking at the Trax it probably is, then you'll be happy to know the 2019 Chevy Trax is available in a great range of colors, including three new colors not previously available. These include rich metallic shades like dark copper, pacific blue, and the bold Cajun red tintcoat. There are available halogen projector-style headlamps for great nighttime visibility with LED daytime running lamps. The special Midnight Edition takes style even further with a mosaic black metallic exterior, 18-inch black alloy wheels, and front and rear black bowties. Having a vehicle that looks great from the outside is important to most of us - it's hard not to want to make an impression and leave people a bit jealous. But let's be honest: you're going to spend most of your time around the 2019 Chevy Trax on the inside of it while driving. That's why the interior is so important, and Chevy has not let you down. There is spacious front and rear seating with seats available for up to five people and a maximum cargo volume of 48.4 cu. Ft. That should be more than enough room for most families, groups of friends, or just loading up your camping equipment or other supplies for a long weekend away. The seats can be folded and shifted in different arrangements, making it easy to swap between transporting friends and loading up for a camping trip. With the front passenger seat folded down, you can get up to eight feet of space inside the 2019 Chevy Trax for particularly long objects. Since the Trax is smaller than a lot of SUVs on the market, this design that lets you take advantage of the interior space is so very important and a welcome, intelligent choice. But don't worry; all of this customization doesn't come at the cost of luxury and comfort. The front interior features a chrome-accented instrument panel and a 7-inch diagonal touchscreen display that includes available phone integration. It looks great and all the features of the new Trax are simple to reach and use without taking your attention from the road. This lets you stay safe while you're looking good. Whether you are driving your family on a vacation, taking your friends around town, or just driving by yourself on the way to work, nothing is more important than the safety of everyone inside the 2019 Chevy Trax. Even though it is a compact SUV, the Trax features 10 airbags within a high-strength steel safety cage design that keeps the driver and everyone else within the vehicle protected if the unimaginable does happen. Sometimes companies can be tempted to sacrifice safety for a smaller frame, but Chevrolet has done no such thing here. Safety features in the 2019 Chevy Trax aren't just about keeping you and your passengers safe; they are also designed to help prevent collisions in the first place. This includes a forward collision alert system that uses a camera to notify the driver when vehicles in front of the Trax are slowing or stopping unexpectedly. There is also a side blind zone alert system that uses short-range radar to detect when other vehicles are in your blind zone, to help prevent accidents that might otherwise occur. Safety features even extend behind you in the 2019 Chevy Trax. This includes rear park assist that provides an audible alert and visual indicator on the rear vision camera when objects are in close proximity to the rear of the vehicle. Similarly, a rear traffic alert notifies you when someone or something is crossing behind the Trax while it is backing up or in reverse. All of these features come together, through innovative technology and smart design, to keep everyone in and around the Trax as safe as possible. We're talking about model year 2019, so that means we're talking about the latest technology found in vehicles on the road. The 2019 Chevy Trax doesn't disappoint, thanks to a 7-inch touchscreen display on the front panel that can relay a wide range of information for the driver and front-seat passenger. This includes the Chevrolet Infotainment System that can connect with your smartphone and the myChevrolet Mobile app. Available navigation systems and other features make it easier than ever to make sure you know where you are going and can stay safe on the road while you get there. The new Trax includes available built-in 4G LTE Wi-Fi connectivity, which lets you use your SUV as a mobile internet hotspot. This is great for keeping your data usage down on your phone plan, and can also provide better speed and more reliable service for your phone or other devices. This is ideal if you like to stream media, such as music, while you are driving, and the 2019 Chevy Trax includes support for both Apple CarPlay and Android Auto. Smartphone integration makes this a great choice for anyone who enjoys entertainment while on the road. Not only can you easily play music from your phone and similar devices through the 2019 Chevy Trax's speakers, but the Wi-Fi hotspot is ideal for keeping kids in the backseat entertained during long car trips. Long gone are the days of listening to kids in the back bicker and argue, hollering and kicking each other while parents in the front try to maintain order. Now you can easily stream television and other media to devices for your kids and enjoy some peace and quiet while on the road. Going to buy a car shouldn't be an experience that you dread, but for many of us that has become a reality over the years. We understand it; we've all been victim to high-pressure tactics and overbearing salespeople who try to push us into something we don't need. That's not what you'll find at Carl Black Nashville. We're a different kind of dealership with a focus on customer service and maintaining our strong relationship with the community. We want to help you find the Chevy that is perfect for you, and we pride ourselves on our ability to do so. Come see what we have in stock, and more importantly, come see how good buying a car can feel.